2018 NASFAA National Conference Exhibit Why Sponsor or Exhibit? The National Conference, which is the largest conference of its kind, features numerous opportunities for exhibitors, sponsors, and advertisers. Attracting more than 2,300 financial aid administrators annually, the NASFAA Conference provides three days of networking and professional development, and the opportunity to learn about new products and services available to the financial aid community. 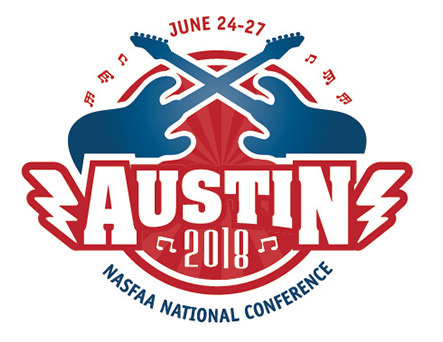 See for yourself why becoming an exhibitor and/or sponsor at NASFAA's National Conference is the right choice for your company or organization. They represent all sectors of post-secondary education including private and public 4-year and 2-year colleges/universities and proprietary schools, in addition to government agencies, guaranty agencies, banks, software providers, and others providing services to the financial aid industry. What do the numbers and previous exhibitors say? 94% of exhibitors rated the overall quality of leads collected as "Good" or "Very Good." 99% of exhibitors surveyed plan to participate at the following year's conference.